As a foreigner, both male or female, there are many young locals either from Bali or other islands in Indonesia that would love nothing more than to become your soul mate. Some of these intentions are pure while some of them have hidden intentions with thoughts of money or a free ticket out of the country being involved. There is really no concrete way to say what a person’s intentions are so you will just have to feel it out for yourself and be smart about things. Also, don’t ever rush into any commitments with anyone and don’t be too quick to lend out money as well. Those should be obvious tips but it is amazing how quickly some people can forget them as soon as they get off the plane. While it is frowned upon, even strictly illegal in some parts of Indonesia, an unmarried couple living together is generally accepted in Bali. Life with a new partner can be a great way to help you to adapt to the lifestyle here, helping you to learn the language, get the right price for things and you will always have someone local around to do the talking for you if something needs repairing, installing or anything else, if the repairman doesn’t speak any English. As stated though, be careful to jump too quickly into this sort of living situation, because it can be harder than you think to get out of if things don’t work out as planned. If you do manage to find your soul mate in Bali or have found them before coming here and would like to marry them, things can get a bit complicated. Many people ask where is the best place to marry an Indonesian girl, in Indonesia or in their home country. The simple answer is to get married in the country where you both plan to live. Under Indonesian law, two people getting married should be of the same religion at the time of marriage. Indonesia accepts Muslim, Christian, Catholic, Hindu and Buddhist as religions and does not recognize the more independent religions and certainly will not recognize your beliefs if you happen to be atheist or agnostic. Just about all Indonesians are strongly religious no matter which religion they are a part of and most will not convert to your religion if it is different. This will require you to first convert, with the two largest religions in Bali being first Hindu and Islam coming in second with all of the immigrants from Java. There is a bit of legal paperwork that needs to be done but the practice of converting, especially for Hindu is something that is mostly handled through ceremonies and prayer. If you wish to marry your spouse and convert to her religion then the best way to go about is by asking her family what the traditions are and how they will handle it in their village and at their temple as everyone has slightly different beliefs. 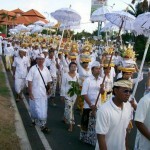 Where are All of the Balinese People in Bali? I really appreciated the objectivity and tone of the articles. 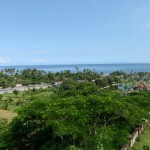 I found them to be very informative and non-threatening, designed not to put anyone off, but rather to give a good overview of the issues someone is likely to face if they decided to spend a reasonable amount of time in Bali.